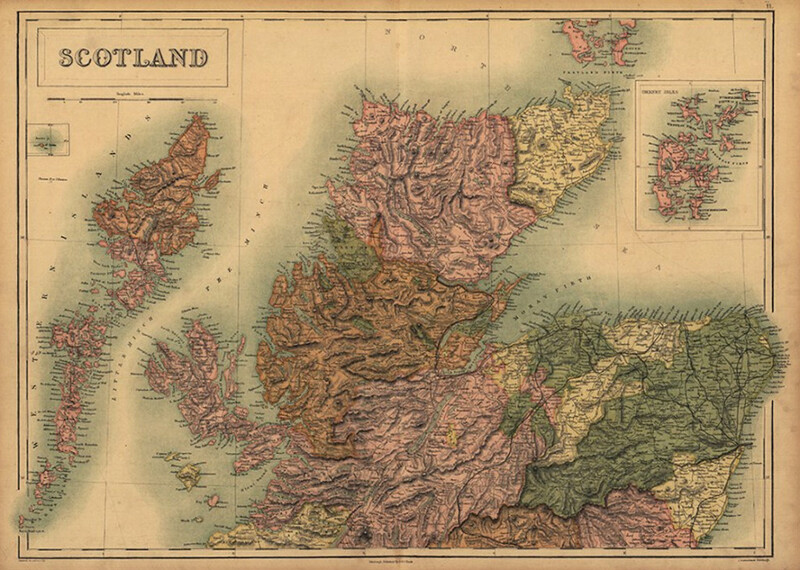 Monday Map celebrates 150 years of excellence and dedication to craft with this rendering of Scotland created that same fateful year. Scotland had entered into the United Kingdom 1707 but retained its identity when a young Queen Victoria and Prince Albert fell in love with it on their first visit in 1842. By 1865 all things Scottish were extremely popular in London and by 1875 Scotch whisky had replaced cognac as the Englishman’s aperitif of choice. Glenfarclas remains an independent, family owned business, where the 5th and 6th generation continue an unmatched legacy of quality and tradition.